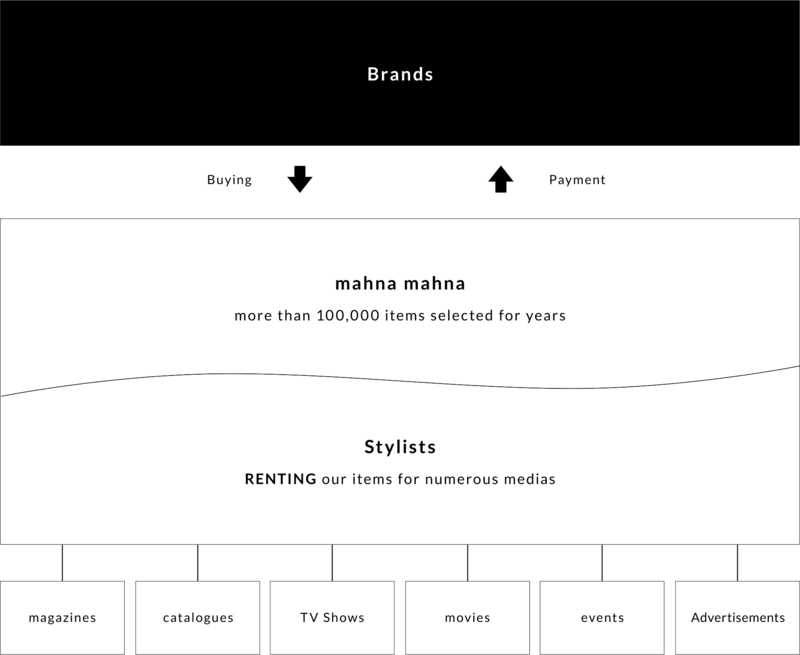 Mahna Mahna is specialized in clothing, accessories and other fashion related items for various media usage and events. Mahna Mahna’s first showroom opened in 1991. Mahna Mahna quickly became the most prominent rental house in Japan with 7 showrooms, 6 in Tokyo and 1 in Osaka and became international with the opening of a new showroom in Seoul, South Korea in 2011. Our collection of more than 100,000 items carefully selected by our buyers in Japan and abroad contains a wide range of fashion items from ready-to wear to Haute-Couture as well as accessories, lingerie and kids wear, providing to over 10,000 top stylists and producers with any kind of style for any kind of medias.